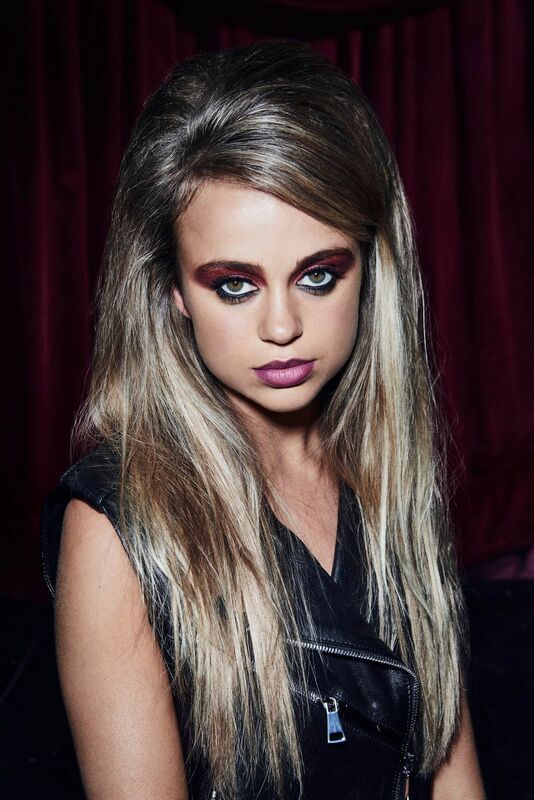 Lady Amelia Windsor has been called the most beautiful member of the British Royal Family. She's also a busy model and influencer (she's represented by the legendary Storm agency). The 23 year-old was recently the face of the makeup brand Illamasqua and did a shoot in collaboration with Wonderland to celebrate the partnership. We caught up with Amelia to hear about the shoot and her personal makeup obsessions. How did the collaboration with Illamasqua come together? I was really honored to be approached as the face of their new 10th year anniversary campaign. It's called The Reign of Rock, do you consider yourself a rocker girl? I definitely think a rocker girl could be defined as the need for every girl to rock being themselves and celebrate their individuality, which the make up in this collection helps to do. As Illamasqua says, "unlock your individuality." What's your favorite type of makeup? I am a huge fan of bronzer and highlighter. What's your typical beauty look for going out? I love a smokey eye. Do you change your beauty look in different places? What's your London look vs your New York look? It completely depends on my mood and the occasion for sure! Sometimes you're in a hurry so mascara and a glowing BB cream. I also think it's weather dependent — the cold definitely affects what make up I use. There's also the need for SPF moisturizer in all seasons as a base under make up and a good serum.